Q. Silver ACE is a premium paper product with a ceramic grain. The product is suitable for aggressive sanding of hard wood, hard primers and clear coats. The improved robust grain prolongs the life and ensures fewer sanding defects and less grain breakage. The backing consists of a flexible and strong latex paper. 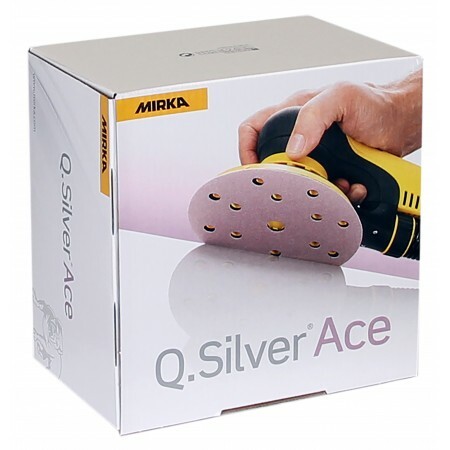 Q Silver ACE is a fully resin bonded product with semi-open grain coating.